An unrivalled opportunity to acquire this prime 16 hectare (40 acre), riverfront property positioned on the prestigious Allyn River at Allynbrook, NSW. This home combines clean, contemporary finishes with the classic style of a European bungalow with beautiful country gardens, and well established orchard. 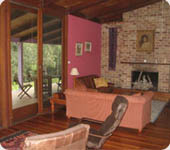 The formal living area is set around an open fire place and flows through doors to a spacious veranda. The kitchen and bathrooms are contemporary and stylish, while there are three double bedrooms. Iain and his farther Ashley Adams from ‘Darracourt’, Blackall, Queensland, have been specialising in selecting quality lines of Simmental with high carcase traits for tenderness, marbling and feed efficiency. This commitment to the campaign has paid off for the Adams family being awarded the 2008 Central Western Rabobank Agribusiness Award. Wombramurra Black Simmentals Annual Bull Sale Our next Bull Sale will be on the 21st of August, 2008. 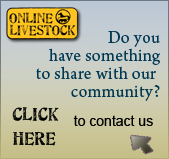 Offering: 25 Black Simmental Bulls, 6 Red Simmental Bulls and 26 Wombramurra Composite Bulls. The Western Australian Farmers Federation (Inc.) (WAFarmers) announced yesterday at the WAFarmers CBH Group Young Farmer Section conference that an Albany/Mount Barker Young Farmer Field Day will be held on Friday July 11, 2008. Simmental - The Simmental breed was introduced to Australia in 1972 and breeders have drawn on the enormous worldwide pool of Simmental genetics. Since it originated in Switzerland the breed quickly developed in Europe before spreading through Russia, North and South America, to Africa and Australasia. In fact it is the most numerous Bos Taurus breed in the world.